Choose from our many juices on our menu, found at the scheduling page. 1 Day Juice Cleanse is 4 16oz Juices. Pick 2 kinds of fresh juices for your box. 2 Day Juice Cleanse is 8 16oz Juices. Choose 2-4 kinds of fresh juices for your box. 3 Day Juice Cleanse is 12 16oz Juices. Choose 2-4 kinds of fresh juices for your box. Add-on any Superfood or Herb add-on to your juices at $1 per add-on per juice. Consultations are recommended to choose the right Juice Cleanse and Superfood and Herbs for you. Scroll down to view our selection of Menu items and Herb Add-ons. Special requests are welcome! Aide your detoxifying efforts with on site freshly pressed green juices. Massage, MediCupping and Far Infrared Sauna Therapy can all be enhanced as the body receives vital nutrients for a clear mind, a cleansing of the blood and repair of tissues and cells. Choose from the vitalizing Wheat Grass Juice, Sunflower Microgreens Juice or Microgreens Buckwheat Juice. All gluten free, organic and full of Live Vitamins, Minerals and Amino Acids. Try one of our freshly juiced drinks for a flavor sensation while getting vital nutrients for beauty from the inside out. Choose from our many juices on our menu, found at the scheduling page. 1 Day Juice Cleanse is 4 16oz Juices. Pick 2 kinds of fresh juices for your box. 2 Day Juice Cleanse is 8 16oz Juices. Choose 2-4 kinds of fresh juices for your box. 3 Day Juice Cleanse is 12 16oz Juices. Choose 2-4 kinds of fresh juices for your box. Kale, Cucumber, Celery, Cilantro, Apple and Lemon. Pure Green Goodness. Simply green with the sweetness of apple and tartness of lemon. Ginger boosts this freshly juiced drink into a powerhouse of gut cleansing and energy boosting goodness. Mint, spinach, pineapple and apple freshly juiced and served as a gentle introduction into green juices. Lemon, ginger, cayenne, kale and chlorella blended for a powerful cleanse. Basil, strawberries, collard greens, honey and lime. 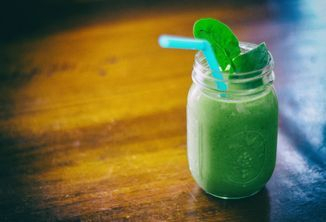 This is an freshly juiced favorite poured over ice, giving you are good dose of greens, while still tasting like a treat. Carrots for beauty, High VIt C Oranges and sweet noble grapes for the experienced juicer to the healthy kid for gorgeous hair, nails and skin. Fresh juice from oranges, carrots, apples and ginger. Simple, sweet and super high in cancer fighting carotenoids, Vit C, and pure goodness. Fresh juice Fresh juice from oranges, carrots, apples and ginger. Simple, sweet and super high in cancer fighting carotenoids, Vit C, and pure goodness.from oranges, carrots, apples and ginger. Simple, sweet and super high in cancer fighting carotenoids, Vit C, and pure goodness. Booster Shots are designed to enhance the massage by drinking specific nutrients to fuel healing for organs and tissues. Spicy cayenne will open the capillaries and allow blood to flow while bringing much needed sulphur to inflamed joints. MediCupping, Massage and Laser will all direct the blood flow with nutrient rich blood to areas of concern. A smart way to relax. Sinus relief, soothing to the throat. Can be made into a juice, booster shot, or hot tea. Please specify which. Chlorella is a super detox and tissue repair super food giving you protein, b vitamins, minerals and a great source for EFA's, chlorophyll and more. Great for post surgery and to neutralize toxins in the body. Can be made into a juice, booster shot, or hot tea. Please specify which. Jalepeno opens your circulatory system up for optimal assimilation of the Super Healer Aloe Vera. Vit. C in lime also aids in tissue repair. Can be made into a juice, booster shot, or hot tea. Please specify which. Everything the body needs to open the circulatory system and reduce inflammation, stimulate brain function and more, with an antioxidant boost and friendly bacteria for the gut. This is great as a warm tea too! Cherry is known for it's anti-inflammatory properties as well as aiding in the healing of gout and uric acid build-up. Blueberries and super brain food and both are high in antioxidants. This combination is a powerful anti-aging, heart opening booster. Cacao is high in minerals including Magnesium for depression and ADHD, while goji boasts a higher iron content than spinach and is a complete protein source. They are both powerhouses for ant-oxidants and Vit. C. Cayenne opens the capillaries for maximum absorption. Stimulating and balancing to the adrenals and hormones. Great for Menopause and Pre-menopause symptoms and for treating early symptoms of hormone imbalances. Increases circulation. Can be made into a juice or booster shot. Please specify which. Young coconut is a superfood great for restoring thyroid function. It is ani-virul, anti-fungal, anti-bacterial and anti-parasitic. Young coconut aids in heart, kidney and liver function and also aids in weight loss. Ginger, Aloe Vera, Goji and Cultured Coconut milk. Great soother and healer of the body. Everything you need for an upset tummy and to start healing leaky gut. Utilize the benefits of massage and nutrition with a high Vit C. Acerola Cherry Cola Float Smoothie. Cherries are high in iron and antioxidants and is a great anti-inflammatory. Add the Superfood Aloe Vera, Chia, Hemp Seeds or Raw Cacao for targeted tissue repair, protein or a creamy feel good version. This drinks and more are given before or after your massage to enhance the efficacy and healing effects of your treatments. Combinations promotes wound healing in post-surgery or injury. Nutrient absorption into the blood stream begins 15 minutes after drinking which allows the MediCupping therapy to direct the nutrients to targeted areas maximizing your healing benefits. 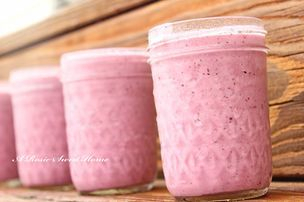 A cold drink made with freshly blended apples, cherries, orange and coconut milk. Anti-inflammatory and delicous. This cold drink is made from one kiwi blended with watermelon, optional basil and ice. Topped with Chia seeds for an energy and protein boost. This drink is cool, energizing and refreshing. It is sweetened with low glycemic zylitol, a sweetener made from USA Birch Trees. Zylitol has a wonderful side effect of aiding in the repair of cavities and tissues in the mouth. Awesome! Can be made into a juice or booster shot. Please specify which. Watermelon, lime, carrots, orange and apples. Hardy, sweet and melon-licious. Can be made into a juice or booster shot. Please specify which. Blueberries contain phytoflavinoids. They have triple the amount of stress fighting compounds than Vit. C. Blueberries are also high in potassium, Vit C and fiber. 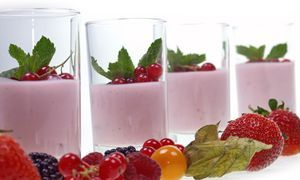 These super berries are blended with spices, super chia seeds, coconut or almond milk and topped with crunchy mulberries. Magnesium "Calm" powder is added for an extra mineral boost. This is a creamy delicious brain drink loaded with Omega 3's and Magnesium. Flax seeds and walnuts are blended with creamy organic coconut yogurt, coconut water, warm spices and sweetened with dates. Blended mineral water, young coconut meat, cinnamon, nutmeg and honey. Simple, hydrating and delicious. Coconut is left a little chunky for half drink and half chewable coconut snack. Young coconut is a superfood in it's nutrient profile, balancing hormones in men and women and assistsing the body in hydration. Chocolate in it's raw and highly mineralized form of cacao powder and cocao nibs is highly nutrient dense with magnesium, vitamins and other trace minerals. Amazing for heart health, circulation, and all those feel good compounds increasing serotonin in your brain. It is blended with mint to help the assimilation of the nutrients and sweetened with dates. This superfood icecream is blended with coconut or almond milk, frozen bananas or ice, mint and cocao nibs for raw living foods crunchy, minty, and creamy dessert. There are many superfood add-ons to choose from aiding in Liver Detoxification, Hormone Balancing and Stress Reduction. Let us guide you in to the best add-ons for you! Add any superfood powder or herb to your drink for $1. Milk Thistle, Dandelion, Maca Root, Activated Charcoal, Cilantro, Acerola Cherry Powder, Acai, Coconut Oil, Young Coconut Meat, Pau d'Arco, Chlorella, Diatomaceous Earth, Shisandra Berry, Asawagandha, Aloe, Chaga, Reishi, Hemp, Cacao, Chia Seed, Camu Camu, Rhodiola, or mucuna seed puriens. or Mucuna Seed Puriens to calm the nervous system. Integrating raw superfoods, superherbs and high potency mushrooms into your massage therapy treatments will maximize antioxidants and healing. The drinks are guided and targeted to areas of the body you need it most with massage, lymph manipulation, medicupping and laser therapy. Most drinks will be absorbed into the blood stream within 15 seconds to 15 minutes, allowing them to be bioavailable for the body to use during the session or after the session when the massage effects are still in high effect. The Food as Medicine program at Bardos Massage and Wellness provides nutritional counseling, workshops, Raw Food Demos and Classes for the Community as well as proving a full menu of nutritionally dense Fresh Juices, Smoothies and Powerhouse Shots for a fun Raw Food Party and added intelligent information for your body to integrate. We provide consultations to find the best herbs, superfoods and nutritionally dense diets to best suit your needs. The information will provide a lifetime of preventative care and healthy living. Prevent inflammation, reverse damaged guts and get on the road to health. A consulting session will offer you a wealth of knowledge of herbs and natural medicine and point you in the right direction for health and vitality.